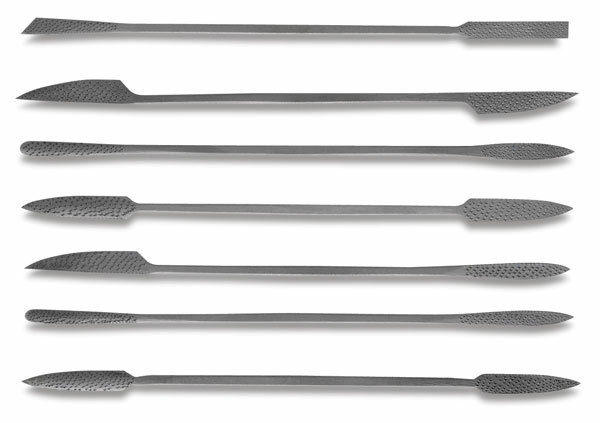 This set of seven steel rasps imported from Italy is made for fine detail work on wood, stone, and plaster. 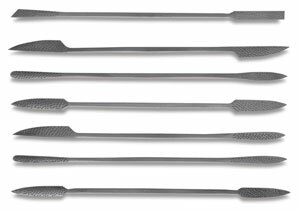 The set includes R49, R54, R55, R66, R67, R72, and R78 rasps. Each tool measures approximately 6" in length.